Charlie Hebdo's cartoons of the Prophet Mohammed "defend the freedom of religion," the magazine's top surviving editor, Gerard Biard, said in a television interview on Sunday. He said the magazine's newest cover image, published in the wake of the January 7 terrorist attack at its Paris office, "is not just a little figure, a little Mohammed drawn by Luz. It's a symbol." "It's the symbol of freedom of speech, of freedom of religion, of democracy, and secularism," Biard said. Biard spoke on NBC's "Meet the Press" in an interview that was taped on Saturday and televised on Sunday. He spoke in French through a translator. "Meet the Press" moderator Chuck Todd asked Biard about the decision by many news outlets, including NBC and CNN, not to republish the cover image. CNN has cited safety concerns and the fact that some Muslims are highly offended by depictions of the prophet. Biard said he sympathized with newspapers "in totalitarian regimes" that choose not to show the cartoon, but "on the other hand, I am quite critical of newspapers which are published in democratic countries." When those news outlets "refuse to publish this cartoon, when they blur it out, when they decline to publish it, they blur out democracy, secularism, freedom of religion, and they insult the citizenship," Biard said. Furthermore, Biard said "we must stop declaring that those who write and draw are 'provocateurs,' and are throwing gas on the fire. We must not place thinkers and artists in the same category as murderers." A co-founder of the magazine, Henri Roussel, recently said that he thought the magazine went too far by publishing Mohammed cartoons even after the Paris office was firebombed in 2011. Biard did not respond directly, but indicated that he disagreed. Biard did not say anything about plans for future issues of the magazine. Editors and distributors of other French publication have promised to support the once-obscure satirical magazine for months and years to come, if needed. On Saturday the distributor of the magazine, MLP, said it had increased the total printing of Wednesday's "survivors issue" to 7 million in response to unprecedented public demand. A spokesman for MLP said he had no new updates on Sunday. 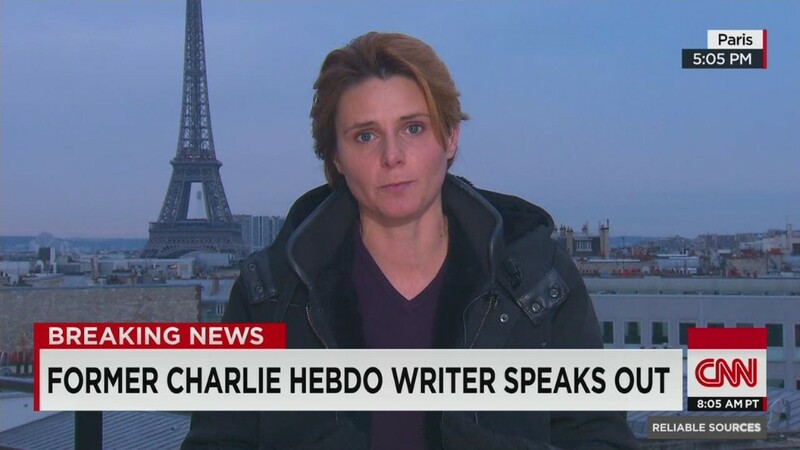 Biard -- who was in London at the time of the attack -- told NBC that some of the surviving staff members of Charlie Hebdo are still hospitalized. "Some of the injured are still in serious condition," he said. "And then there are also those who were present during the attack but who escaped injury," he said. "They are trying individually to understand why they escaped unharmed. They are also trying to process how they helped the wounded. It's very difficult to process because one obviously feels an enormous relief mixed with a sense of guilt."